Every mom has thought or said this a million times, and now our college kids are (hopefully) learning the tedious task of doing their own laundry. I taught my daughters how to do theirs during their senior years of high school and then helped to refine their skills during the summer before they left for college. I’m not going to lie and say that they have perfected the skill of taking care of themselves, but at least they can run a load of dirty clothes if needed. I think a parents’ biggest wish is that they just wash their sheets and towels weekly, but then pray for at least a few times a semester. Luckily my oldest daughter found that a little peer pressure in the “doing laundry” department helped keep her on her toes. 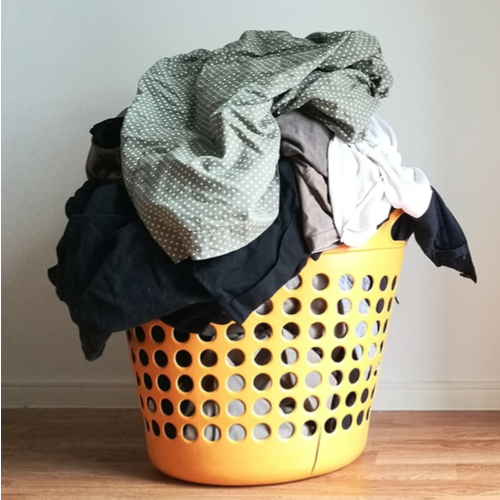 The kids are so busy that they sometimes forget that they have two pairs of underwear left, and when they see a roommate starting laundry, it jumps starts their brain to get some chores done as well. In the dorms, laundry rooms are found in common areas or on the first floors. It costs $1.25 for a load and they can use quarters or their Bulls Bucks from their student IDs. No longer are the days of waiting around or constantly checking the status of the machines in hopes that someone wouldn’t dump your stuff on the floor. Now, students can view the status of any machine and even get a text message when a machine is ready. LaundryView can be found on the homepage of the MyUSFMobile app. *If your child “forgets” how to do their laundry, USF has a video to help out. If your child absolutely needs a laundry service to help them out, try Mango Cleaners & Laundry. They provide services to the USF area and offer pickup and delivery as well. Richie’s Cleaners – located on Temple Terrace Highway. New customers get 20% off their dry-cleaning order. Lapel’s Dry Cleaning – located on Preserve Walk Lane. They offer lots of different services including alterations. They have online coupons as well. McNatt’s Cleaners & Laundry – located on N. 56 Street. Young Tailor Shop – located on N. 56 Street.